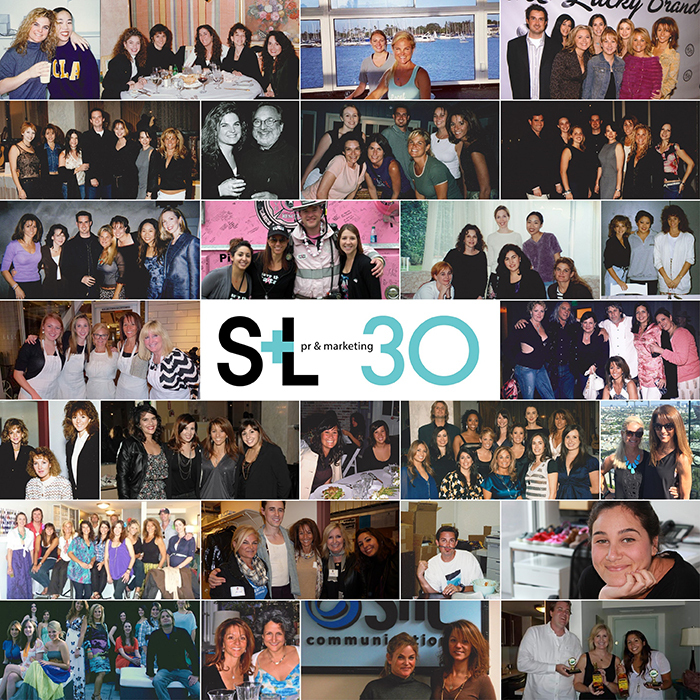 Los Angeles-based PR and marketing agency S+L PR announces its 30-year anniversary and looks back at three decades of change. It’s hard to believe how much media has changed in 30 years. What began as a small, West Coast fashion PR agency eventually blossomed into a dynamic and prominent PR, advertising and marketing firm. Through the years, the agency has employed some of the best talent in the city and worked with some of the biggest brands in the world. Evolving from a print-centric media landscape into the digital realm was one of the agency’s many accomplishments. Thirty years ago, press releases were written on one of these (see photo) and dropped in the mail, there was no social media, and pitching was done on a telephone. Founded in 1988 by original partners, Karen Schneider and Lori Newman, as Schneider Newman Public Relations, the agency began with a belief that there was a void in PR on the West Coast. With an influx of fashion designers and manufacturers in the area, Los Angeles was becoming a viable place for fashion PR firms. With tremendous success out of the gate, the agency continued to grow and diversify its services. As the agency of record for such brands as Reebok, Asics, Vans, Dakine, Lucky Brand, Zappos, Etnies, Casio’s G-Shock and Merrell, Schneider Newman looked for a partner to help sustain such growth. Staci Levine joined the agency in 1996 with a goal of growing the action sports division, became a partner in 2000, changed the agency name to SnL PR and ultimately established the agency as the leading action sports PR firm. Still boutique in size, the agency focuses on both traditional and new media PR programs, consulting, social media support, influencer and brand partnerships and comprehensive launch programs for young start up brands, and is run by Staci Levine, (Schneider and Newman are both retired). While it’s certainly nostalgic to look back at how technology has changed, one thing has remained the same. S+L PR continues to evolve with the changing media landscape, provides real results for its clients and has tremendous experience and insight to share.